The Joint Intelligence Objective Agency (JIOA) corresponded with their Argentinian allies (through the Inter-American Development Bank) to arrange a safe haven for the notorious Nazi war criminal Walter Schrieber. Chief of the Sanitary Division of the Military Medical Academy, Schrieber had had the jurisdiction over the experiments which were carried out in the concentration camps, even providing financial aid to continue the research. In one instance, he personally assigned doctors to work on the Epidemic Jaundice experiments in the Sachsenhausen and Natzweiler camps. Jaundice is a condition where the patients eyes and skin turn yellow because of an overproduction of bile, a result of liver disease. Further information on this epidemic is disclosed in this medical entry: http://www.ncbi.nlm.nih.gov/pmc/articles/PMC1825697/?page=1. Later, Schreiber was the senior officer present at a conference where Dr. Ding-Schuler was ordered to infect the prisoners in Buchenwald with phenol-"carbonic acid", a white crystalline solid that is volatile-to see how long it took for them to die. They sat down in the chair quickly, that is without emotion, near a light. Schreiber was captured by the Soviet troops in 1945 and was held captive in various POW (prisoners of war) camps, including the Lubjanka Prison in Moscow. While he was tried at the Nuremberg Trials-for the full trial transcript: http://avalon.law.yale.edu/imt/08-26-46.asp- Schrieber was quickly transported back to the USSR after United States military personnel wanted to interrogate him. Two years later, Schrieber miraculously reappeared in West Berlin claiming he had escaped from the Soviets. 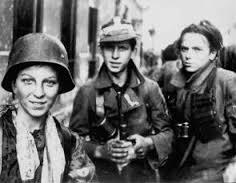 However, a former Soviet POW claimed that Schrieber cooperated "willing with the Soviets during his capture and his flight to freedom was a mission". 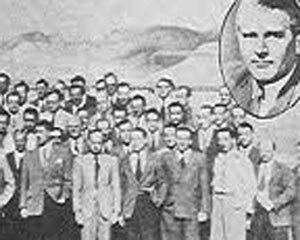 In September 1951, the JIOA brought Schrieber to the U.S. under Operation Paperclip and placed him at the Air Force School of Aviation Medicine in Randolph, Texas. Here, General Harry Armstrong-who was also housing Hubertus Strughold-and Schrieber worked on the military medical problems of survival, nutrition, and sanitation. But his happy employment was fleeting because investigator Leo Alexander filed a complaint with the White House after discovering lengthy reports describing his crimes, identifying him by name. At the same time, a Ravensbrueck camp survivor, Janina Iwanska, reported to an immigration officer that she had sighted one of the officials who allowed her to be tortured. It was Schreiber. 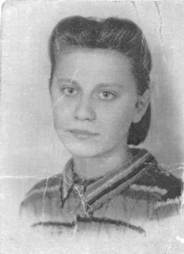 Iwanska was one of seventy-four women in the Polish Resistance who were captured and used for gas grenade and bone transplant experiments. 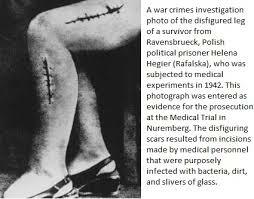 She described vividly undergoing surgeries (without anesthesia) where her legs were split open and infected with glass grounds, wood shavings, and mustard gas. Iwanska remained crippled for life. Publicly, the government assured that Schrieber would be removed from the United States; however, the Air Force never returned him to Berlin. His contract was merely re-drafted, his VISA renewed, and he took refuge in his daughter's California home. According to the CIA, Schrieber was "too important and therefore could not fall into Soviet hands". The informed and unwavered attitude of the JIOA and Air Force officers when presented with the startling evidence lobbied against Schrieber exemplified the callous disregard for U.S. laws and total lack of morality when dealing with the participants in Operation Paperclip.